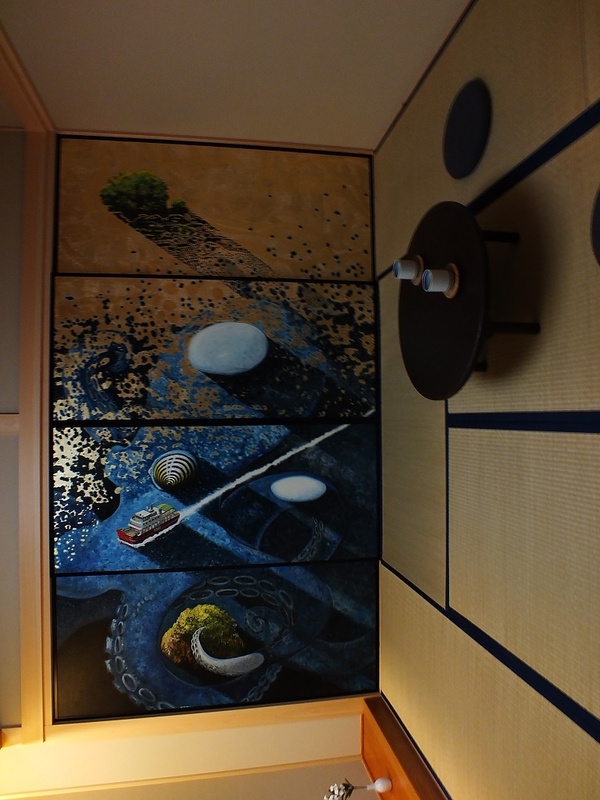 The Room Inside of the Room is an artwork by Oscar Oiwa that you can see on Ogijima. No, it’s not what you think, the picture’s orientation is indeed correct. Fun fact: last year, I got to write a few articles in a few magazines about the Setouchi Triennale 2016. Very often, I also provided pictures, and very often I provided pictures of this artwork. When the article was sent back to me to double-check before publication, the picture was very often turned on its side, and the person in charge of the layout was often confused when I told them that they made a mistake. It’s a permanent artwork on this island, and as such it’s open every week-end and holiday from mid-March to early November, as well as Fridays too in July and August. Do not miss it when you visit Ogijima. If you want to know more, there is a video of Oscar Oiwa introducing his artwork on the blog. Thank you David for writing about “The Room inside of the Room”! We are glad to know that it is open every weekends!! Hope everything is fine with you and your family. We really want to go back to Ogijima and Takamatsu soon. I’m sure I’m going to talk about Oscar’s works again. I still have some pictures of the Room and of Oiwa Island 2 in stock (and I plan on visiting the Room again soon, as well as try to see the new art in the hotel on Shodoshima – not sure if non-customers can see it though). Say hi to the whole family. I hope you all can visit soon. I was afraid that Shimamachi wasn’t open to the general public, and unfortunately, I couldn’t go the day of the opening when Oscar invited me. Hello David, Veronica and I got to this work on our trip to Ogijima in April 2016, in the last couple of days of the Spring Triennale. Your blog advice directed us to Ogijima for a whole day, then Teshima for another day. I haven’t got around to writing up posts about the Triennale yet but we had a great time, seeing and experiencing I sme incredible works. Glad you enjoyed the experience. Keep me updated when you get to write about the Triennale on your blog.